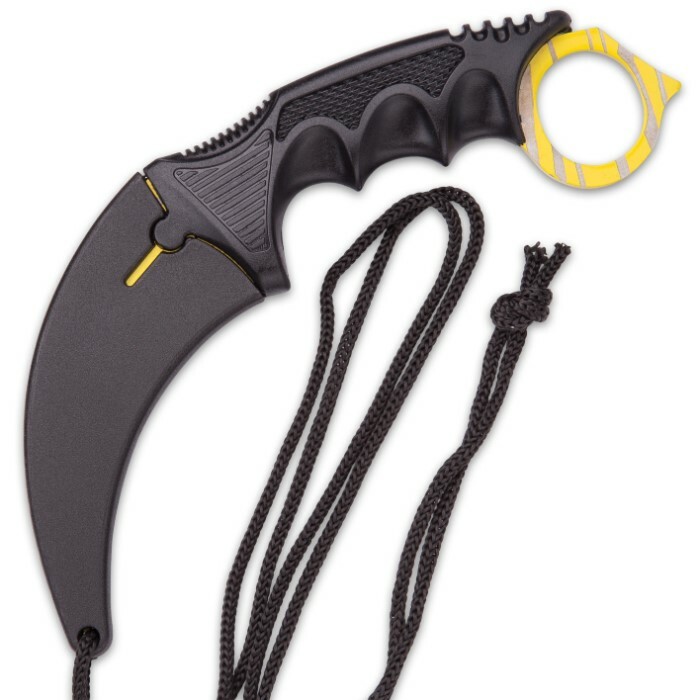 Black Legion Yellow Tiger Stripe Karambit With Heavy-Duty Sheath And Lanyard - Textured Handle - 7 1/2” Length | BUDK.com - Knives & Swords At The Lowest Prices! 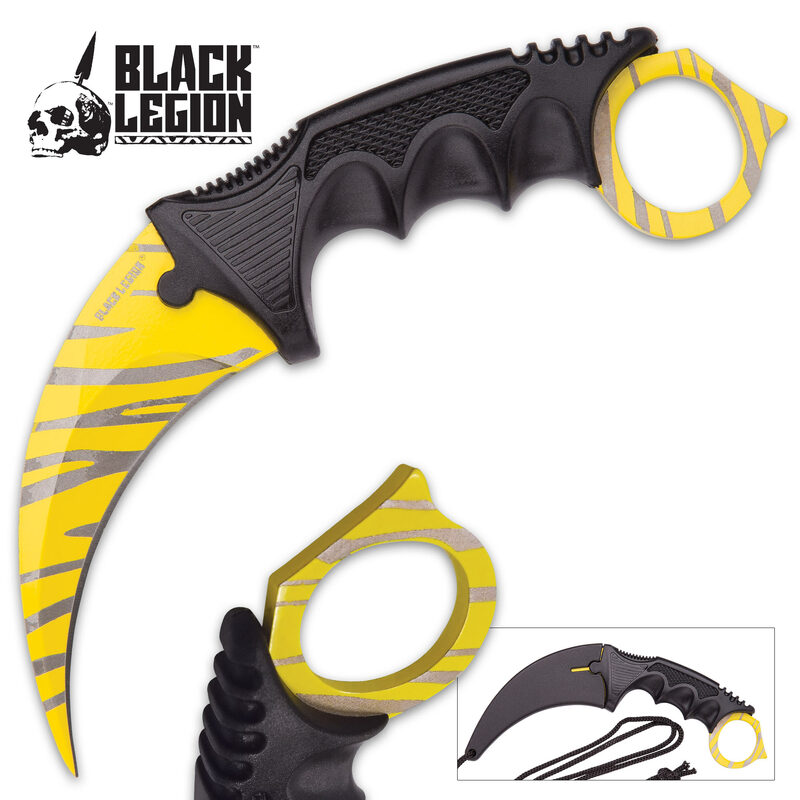 The Black Legion Yellow Tiger Stripe Karambit looks striking as you pull it out of its sheath and will definitely get second looks from your friends. 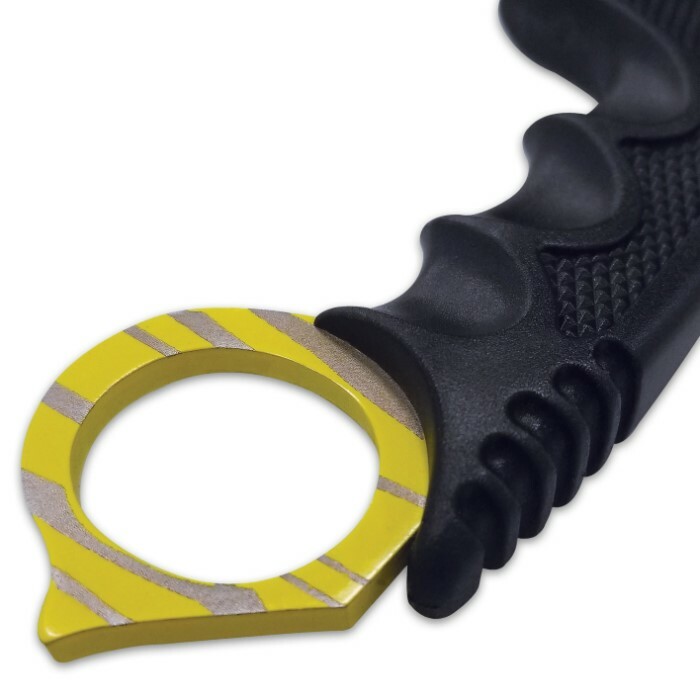 It features a 3 1/2” yellow coated stainless steel blade with a striking tiger stripe design. The textured handle ensures that you have a secure grip when wielding it and the included sheath is of heavy duty plastic and has a lanyard. The karambit is 7 1/2” in overall length.